This is his 71st article. Click here for his entire series. Conventional wisdom holds that the oldest profession is prostitution. I don’t know how that is determinable but I think it is bunk. I am convinced, to the contrary, that the first thing our cave-dwelling ancestors did, once they were able to communicate with one another, was to tell each other stories. Even in their attempts to experience sexual pleasure, I don’t think my forbearers went to their wallet (“Hey, baby, how about lying down next to me in return for this muskrat pelt?”) I think what they said was what all of us have been employing for ages…they told the girl a story. It did not take long for the amorous to begin to put their stories to song. Trial and error probably taught the pleaders that a story encased in a melody had more impact than mere words. This art form reached one of its peaks in the so-called High Middle Ages (1100 to 1350 AD). Armor clad GI’s returning from the Crusade of 1101 began composing poems set to string instruments. They were centered in the region of southern France and northern Italy and Spain…the romantic countries. Thus, the birth of the troubadour. Historians have identified about 450 meaningful artists from this era and have documented some 2,600 poems that were set to music. The principal topics of these works were “chivalry” and “courtly love”. Some of the lyrics were bawdy, verging on smutty. I have a soft spot in my heart for modern day troubadours. And, this includes Anglo singers as well as Latin. I live this schizophrenic existence with my Irish-Cuban ancestry, and thoughts in both English and Spanish. My Anglo side attracts me to almost any song by Bob Dylan or Paul Simon. Both Billy Joel and Bruce Springsteen took to storytelling in the early eighties, although not about love. Joel’s 1982 Allentown depicted the pain in the Mid-West during hard times, while in 1984 Springsteen’s Born in the USA gave voice to the reintegration of Vietnam veterans. Two contemporary Brit balladeers have me attempting to sing falsetto: Ed Sheeran with his semi-raunchy Don’t and Sam Smith’s Stay With Me. You were famous; your heart was a legend. There’s music on Clinton Street, all through the evening. Or a verse from his anthemic Hallelujah! If you want a boxer I will step into the ring for you. And if you want a doctor I’ll examine every inch of you. My maternal, Cuban ancestry also has a fondness for troubadours. La Trova. In the late 19th Century, an itinerant group of Cuban musicians traveled through Oriente province making a living by singing their own compositions. This gave rise to many of the styles of the art form that is Cuban music today: boleros, son, guaguanco, and abakua. The principal instrument was the tres (Cuban three-string guitar) but they were also accompanied by the guiro (a hollowed out gourd, with grooves), the clave (two hardwood sticks) and the tumba (upright tall drum). The most famous of these trovadores were Chicho Ibanez and Sindo Garay, whose claim to fame was that he shook hands with both Jose Marti (the father and martyr of the Revolution at the turn of the 20th Century) and Fidel Castro. In Cuba, individual singers melded into troubadour groups: trios, quartets and even sextets. Probably the most famous of the trios was el Trio Matamoros, led by Miguel Matamoros. Their classic lament, Lagrimas Negras, has been covered by dozens of artists. It’s a song that talks about the pain of abandonment. With typical Cuban romantic hyperbole it speaks of crying so hard that the tears are black. The best of the quartets is the Cuarteto Patria. They call themselves a quartet even though they have six musicians: don’t try to figure it out…it’s a Cuban thing. Their leader is the gifted Eliades Ochoa, master of the tres, and also a six string guitar that he has invented. I had an uncle, Adrian, who, the week after he got divorced stayed blind drunk on our couch. Every semi-lucid moment he had he would sing one of Ochoa’s songs. It was either Que Murmuren, a sad ballad about “people talking about us”. Or it was Cuando Ya No Me Quieras, literally translated, “When You Stop Loving Me”. Needless to say I will never forget the lyrics. “I’ll leave, humming my sad poem; I’ll tell everyone how much you loved me. And when no one pays attention to my old songs, I’ll stop my travels in a far-off village and die”. 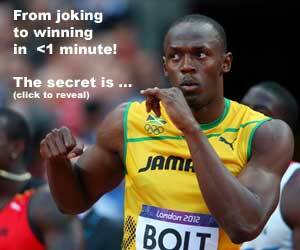 READ Usain Bolt vs Airplane: Who wins? Every time I hear the song I can smell the booze.